Eat in or take away? The Oxford Dictionaries online defines the 'carinderia' as a food stall with a small seating area, typically in a market or at a roadside. It is characteristically Filipino, although similar establishments can be found throughout Asia, particularly the southeast. Its nearest kin, perhaps, is the Malaysian hawker market food stall. 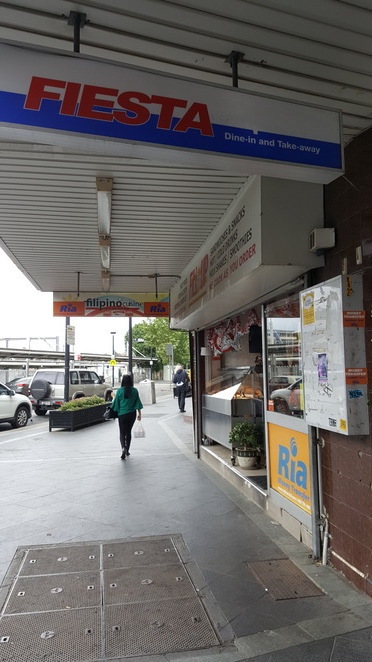 Fill Em Up is located at 20 Main Street, Blacktown. The carinderia is technically a restaurant, but traditionally it is of the pop-up type, usually al fresco, and only requires small capitalisation to setup—hence the obvious lack of capital investment in furniture and other fancy things. There is usually limited seating, patrons may need to share tables, and take-away is popular. It is also for this reason that one can find a carinderia in almost every street corner particularly in dense urban residential areas. 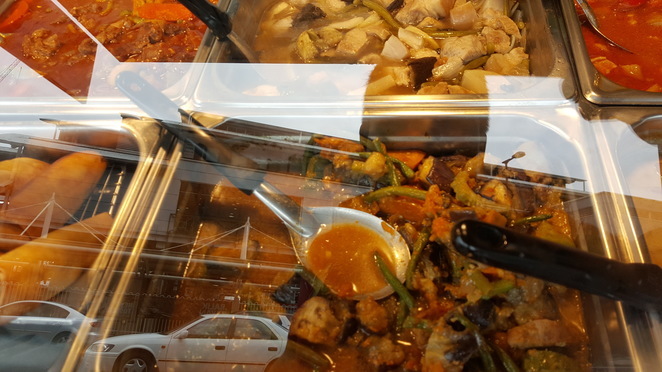 Food in a carinderia typically exemplifies home-cooked Filipino meals. If the carinderia scene is not for you, take away is always an option and you've got plenty of dishes to choose from. Thus, for Filipinos who crave for comfort food, familiar taste, or popular dishes one would have been accustomed to growing up, a carinderia would be a welcome destination for a reinvigorating meal. For everyone else, the carinderia is a sensory experience—the smell of a medley of cooked food, from the fried and grilled to the rich aroma of coconut milk, blends perfectly with the warmth of the small space and the chatter of people who speak different languages but share the same nationality. (Yes, the Philippines has around 170 different languages and dialects. After all, it is a small archipelago of 7,101 islands big and small). 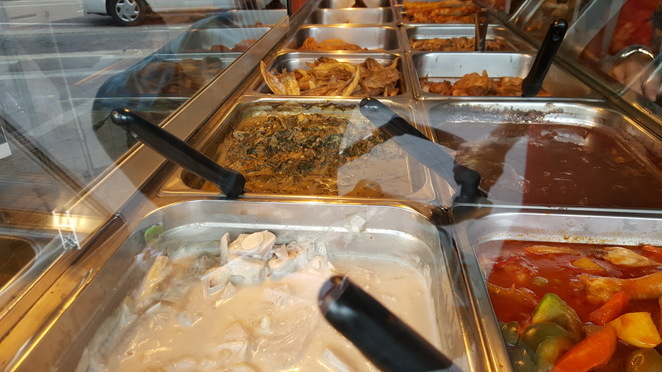 Conveniently located near the transport hub in Blacktown, Fill Em Up will easily fill you up with good food, eat in or take away. 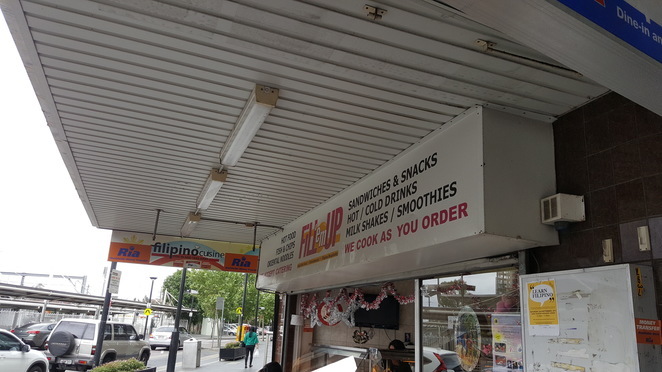 Blacktown's Fill Em Up, located at 20 Main St, Blacktown NSW 2148, right across the Blacktown Train Station and a short walking distance from the Westpoint Shopping Centre, Fill Em Up is a showcase of the Filipino carinderia. But don't be misled, it is a Filipino carinderia with an Aussie flavour-- they also serve fish and chips, sandwiches, milkshakes and smoothies!